Last week an email dropped into my inbox from the lovely Rose who blogs over at Mixed Gems. I've spoken to Rose briefly before when she worked for Illamasqua but Rose now works as a beauty personal shopper in Selfridges Birmingham. 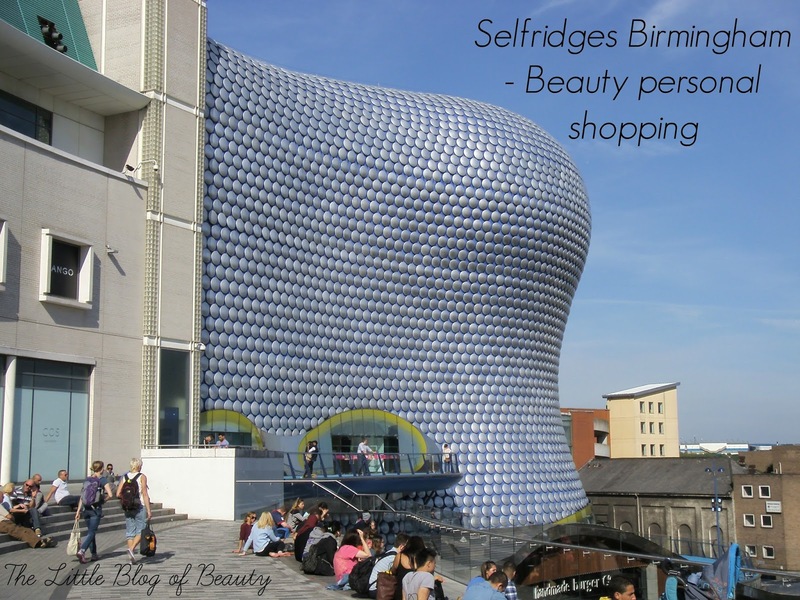 Rose asked if I would like to head over to Selfridges for a complimentary consultation so I could see how the personal shopping service works and have a tour of the beauty hall. So yesterday I took a slight detour on the way home from my boyfriends to meet up with Rose. I'm sorry my pictures really aren't very good. I was so busy chatting away to Rose that I completely forgot to take any so I rushed around quickly to snap a few in-between a break to grab a drink from Starbucks and a consultation I was booked into with Jo Malone. I picked out a few of the not so bad pictures, the rest unfortunately were all a bit blurry or too dark. As was also the case with my recent trip to Meadowhall for Ladies Night, things didn't quite go to plan at the beginning. It's several years since I've been over to Birmingham and when I did visit I always took the train. I was a little later than planned arriving after there were accidents all over the place on the motorways and once I'd parked up my car and come out of the car park I completely lost my bearings, headed off in the wrong direction and got myself lost! I managed to find my way in the end but turned up 15 minutes late and looking a complete state, all hot and bothered after my dash from wherever I'd managed to get myself lost. I'm sorry Rose! So a beauty personal shopping experience is the same as a fashion one, but instead of telling you what sort of clothes you should be wearing Rose tells you what sort of products would be best for you or what shades you should be wearing. If you have any specific concerns, such as really dry skin that just doesn't seem to hold onto moisture, then Rose can recommend and take you to sample products that should help. We were so busy chatting away (we even went and found a couple of seats so we could have a really good chat) that we did drift away slightly from the personal shopper side but Rose did take me round showing me the various different counters they have and some of their standout products. 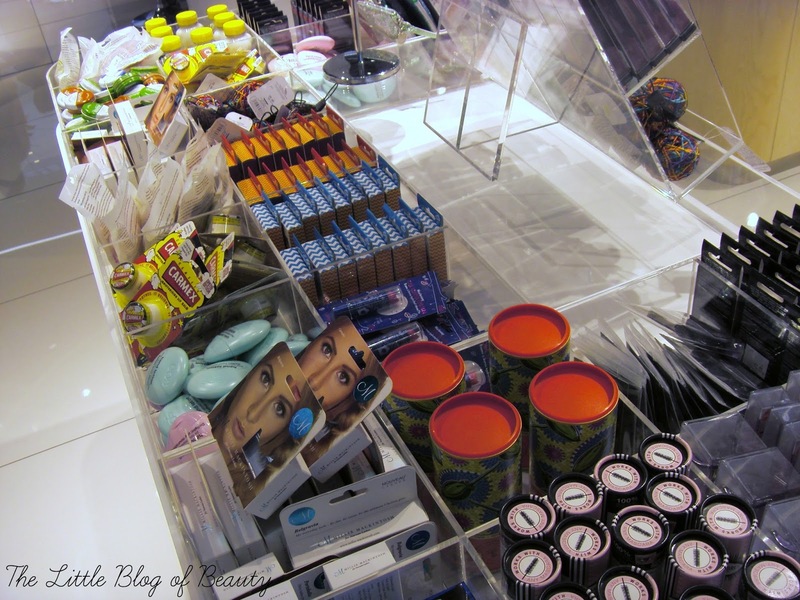 What I like about Selfridges beauty hall is they have the usual counters dedicated to one particular brand, such as Clinique, Clarins, MAC, Bobbi Brown etc, but then they also have a kind of bazaar that has a few products from a number of other brands such as Ciate, Steamcream, Carmex and Obsessive Compulsive Cosmetics (this one I was particularly excited about and I did make a cheeky purchase with some birthday money before I left!). So although the counters are more high-end there are some much cheaper products for you to take advantage of if you want to. As I mentioned briefly above, Rose arranged for me to have a consultation with Jo Malone where I had a lovely hand and arm massage. 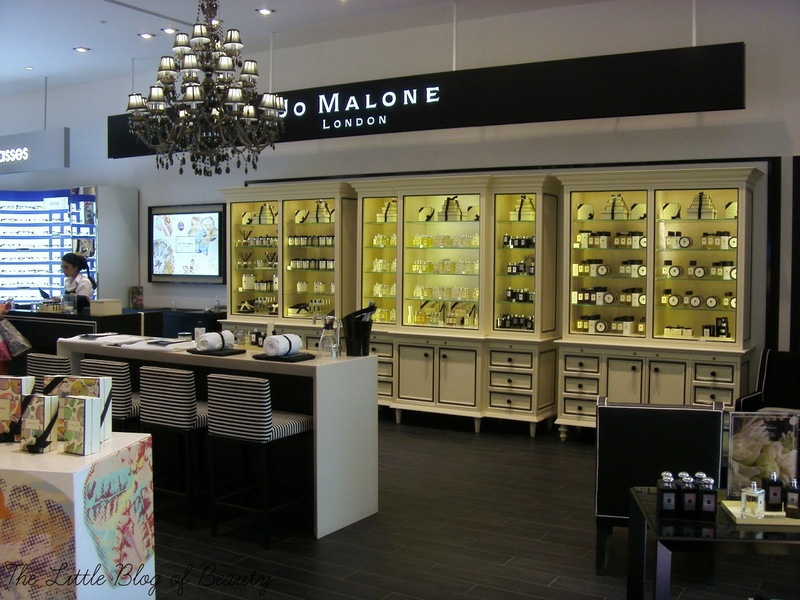 Jo Malone fragrances can be layered to create a more individual scent and the consultation looks at the sort of scents you like (fruity, floral, spicy etc) so they can recommend which different scents you could layer. After Rose had shown me a couple of her favourites I'd already fallen in love with Blackberry and Bay (I would offer my first born child in exchange for a bottle of this!) so I asked for that one. The massage was so relaxing and cooling on such a warm day and I left feeling ready to take on the rush hour traffic coming out of Birmingham to head home. Just a note on the picture of the Shu Uemura mice. I saw a photo on the internet somewhere showing that in Japan you can get Shu Uemura false eyelashes from a vending machine and each of the different types of lashes are displayed on a mouse at the top of the machine. So when I saw the eyelash bearing mice in the display cabinet I had to get a picture of them! If you want to go along to Selfridges and use the beauty personal shopper service this costs £30 but this is redeemable against purchases. So you could treat yourself to a high-end product from one of the counters that Rose has helped you chose or you could grab a few of the cheaper products available. Rose is probably one of the loveliest people you'll ever meet and boy does she know what she's talking about, so the £30 charge is worth it just to meet her and take advantage of her knowledge and advice. Thank you so much to Rose for inviting me over and I hope to be returning to the Selfridges beauty hall for some events in the near future. Would you use a beauty personal shopping service? This sounds so so good, something I am so in need of! Great post! This sounds really interesting! I could probably do with a few tips on what products suit me so I'd definitely consider this.